Desi Smith/Staff Photo. 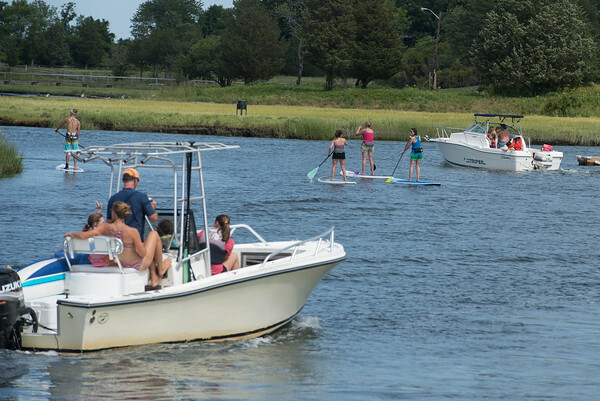 Boaters and stand_up paddleboarders make their way down the Essex River on Saturday afternoon. August 29,2015.